Here are a few videos to watch that will help you to understand our upcoming Math assignments. 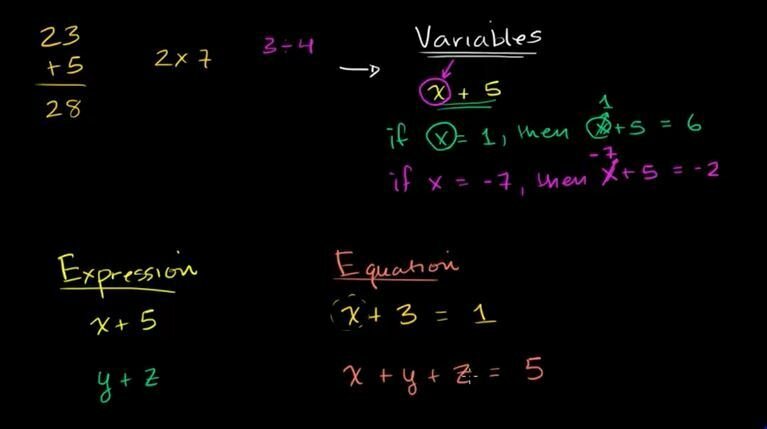 Start by watching this video for the basics of what Algebra is and how it can be used. Watch this video for an intro to the terms “constant”, “coefficient”, and “like terms”. Your sumdog assignment this week has you solving single variable equations. Watch this video to find out how to “simplify an equation”. We also covered these two worksheets (answer keys are there to help you learn the concept). These will help guide you into the sumdog challenge questions you are about to face.